Diving into the world of piano VST’s can be overwhelming if you don’t know what to look for. Here is the best piano software you can get in 2018. You don’t need to have a massive grand piano to get a nice, realistic tone. Thankfully, with technology, fantastic piano tones can be achieved by taking up minimal space in your home, and of course, not costing nearly as much as an actual acoustic piano. 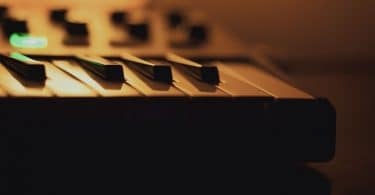 All you need is a computer, a midi keyboard, and at least one VST to get going - this guide will select the best piano software plugins of this year, and hopefully, help you find the perfect one! Here is a quick sneak-peak at the different software that we will be looking at, and afterward we will go further in-depth about each of these, to discuss why they are excellent choices for anyone. For those who happen to be completely new to audio production terminology, a VST stands for Virtual Studio Technology. It is essentially a plugin that is most commonly used on a DAW (Digital Audio Workstation) program that allows you to create virtual instruments and, subsequently, make music. On the other hand, standalone use is also fairly common, and will also be discussed shortly. Nowadays, although they are digital, VST's can sound very accurate, and you can find one for so many instruments out there. However, since this article is about pianos, we're going to focus on that type of VST specifically. Despite their digital nature, you can find an awesome acoustic sound that is full of life. When trying to search for the best piano VST plugin, you probably going to run into two different types out there. They usually come in sampled or modeled forms. Sample-based VST's for pianos will sound the most realistic because they’re literally taken from a real-life instrument. It is also one of the most prevalent types because everyone loves a real sounding piano without having to manage some of the hassle and responsibilities of owning an actual one. On the other hand, modeled ones are more synthetic, but still have the potential to sound amazing. Other than having the less resource-demanding software, one of the main perks of using a modeling VST is that the sound can be highly-customizable in comparison to one that uses real samples. Although this guide to the best piano software plugins will contain mostly sample-based VSTs, some modelers are also there, so keep an eye out! Nonetheless, now that our quick, general overview of what VSTs are is done, we can start getting to the different software choices out there. Before we begin with our top choices, even though it may be obvious to others, we feel that it’s important to mention that if you plan on running MIDI piano software, you’re going to want to invest in a MIDI piano (controller). It doesn’t have to be anything big or fancy; for beginners, a 25-key MIDI controller will be sufficient. The Alesis QX25 is an excellent choice because it's compact and works on Mac, iOS, and PC. It has all of the features that you’d expect in a solid MIDI controller; Octave buttons for reaching the high notes or descending further as well as pitch bender and modulation wheels. On top of that, it has multiple fader knobs, allowing you to have more control, and even has drum pads for sequencing. Overall, it has a lot of utility and will get the job done. If you want some more options you can check out my favorite MIDI keyboards here. Once you have a MIDI controller, you can search for piano VST's to use. While a great piece of software will cost money, you can find some solid ones for free. We’ll help narrow them down for you. On top of there being paid and free software for piano, most of these VSTs can be standalone, which essentially means that they don’t require a DAW to use. This is useful if you just want to play around with the instrument without booting up a DAW, which can free up some resources on your computer. Also, a particular software may solely be a grand piano VST, or it may be an upright one. There is a difference, and this will be specified when we examine each of the options in this guide. In fact, there is a chance that some of these may include both grand and upright pianos and even more! The following software will cost you some money, but they are well worth the value. Some of these will be entire collections or individual instruments, with some even allowing you to expand if you wish. These are the best piano VST plugins that money can buy, and they will serve you well for a long time. To elaborate on the second bullet-point, Addictive Keys can be purchased as a single type of piano. For example, one may decide that they just want the Studio Grand, and that’s all that they would need to buy. Nonetheless, there is the option of purchasing bundles which allow you to have a collection of sounds all in one convenient place. In other words, you won’t be forced to have other sounds if you don’t need them, which can save you some money. XLN’s Addictive Keys offers warm, realistic piano sound without taking too much space and other resources on your computer. It also loads quickly compared to other VSTs. The microphone options are also amazing and contribute a lot to the quality of this package. A huge variety of sounds including Grand, Upright, Electric, and even Pipe Organs! You may be wondering how Toontrack sets itself apart from the XLN piano VST. There are a lot of reasons someone may pick EZKeys; one of them being that it is an excellent tool for songwriting. Not only can you choose sounds based on genres, the software even gives you ideas to work with, and can make arranging easy. Overall, it is straightforward to use, and beginners and non-pianists have made great use out of this software, making it one of the best piano software plugins to date. Sounds based on three types of pianos - Concert, Vintage, and Upright, which NI refers to as The Grandeur, The Maverick, and The Gentleman, respectively. Similarly to Addictive Keys, you can buy each piano individually, but the entire bundle is designed to help you save while having a vast library at the same time. However, this collection also consumes a lot of resources, particularly RAM, but this is expected since each instrument has many adjustable parameters and are some of the most realistic sounds you can get. Because it is powerful, this makes it a nominee for the best piano VST plugin. Even though the sounds are geared towards R&B and Pop, you can still probably find a modern sound that you’re looking for with a little bit of tweaking, but if you’re looking for an old-fashioned vibe, you might be better off with one of the instruments from The Definitive Piano Collection. Nevertheless, it is an amazing piece of software for what it was designed for. As one of the most realistic and responsive VST's, it's no question that it is one of the best piano software plugins you can get. Be wary though, if you decide to use all of the instruments, it will take up a massive chunk of your hard-drive space - it requires 77 GB to be precise. Luckily, if you have one kind that you love the most, you can cut it down to 28 GB. As one of the prime choices for piano software that gets talked about often, it’s understandable that its quality will correlate with its colossal file size. The options don’t just end at keyboard selections; while its diversity is one of its strongest points, one could argue that its customization features are just as important, making it one of the best piano VST plugins. You can shape your sound any way you’d like with Spectrasonics Keyscape. Additionally, you are able to use some amp and pedal options (excellent for electric keyboards! ), which is something not commonly seen in the previous VSTs in this list. Of course, this beast of a VST will consume over 70GB of disk space, so keep that in mind, but if you’ve been reading up until this point, it’s probably to be expected. Now that we’ve gone through some of the most top-of-the-line products that are available for purchase, we can discuss some of the free options. Don’t let anyone fool you, you can still find sweet piano sounds for absolutely free, and these are some that you should give a shot. Based on a Steinway Grand - perfect if you are solely looking for a grand piano VST. For taking up less than 2GB of space, this free standalone piano VST is fantastic. It may not have some of the extra goodies that the paid software has, but the most important thing is that it is precise, gets to the point, and sounds great. It works with just about every DAW and operating system, making it super accessible. While it’s unfortunate that it is unclear which upright piano it was sampled from, what is apparent is that it is still a wonderful sounding instrument in digital form. If you thought Jerry’s Pianos was tiny, this bite-sized VST takes up less than 500MB and recommends that you have at least 2GB of ram, which is not a whole lot on modern systems. It doesn’t have too many features, which is why it’s so small, but it does have basic control options which are nice for those who don’t want to be too overwhelmed. Why Doesn’t My VST Work Or Show Up In My DAW? Although most VSTs are compatible with many of the most-used DAW, if you’ve verified that the file path is correct, there is a chance that the VST is incompatible. Check to make sure, and if it is not, consider finding an appropriate DAW that supports it. Can I Run My VST on An External Drive? This is mostly up to the discretion of the VST, and possibly your DAW. However, in most cases, you can run your VST just fine on one, especially if it supports a standalone option, as many of the ones here do. If anything, if you’re going to use it with a DAW, just make sure that it can access the plugin, and it should be fine. How Much RAM Do I Need To Run VSTs? This can vary between all types of plugins - some are tiny and don’t have much of an impact on your computer and others are more resource-hungry. In general, for music production, you’ll probably need a minimum of 8GB of RAM, but 16GB may be ideal especially if you plan on running multiple programs at once. Is An Internet Connection Required? Initially, you may need to register your software and product key through an internet connection. Afterward, although it depends on the developer and the software, you may be able to use the VST without the Internet. Just keep in mind that an internet connection may be necessary for any software updates and other possible benefits. There you have it! These are some general questions that people have when it comes to all VSTs, not just midi piano software. 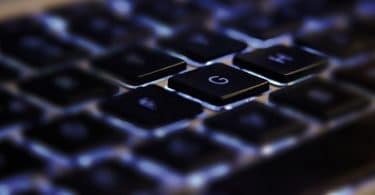 A lot of this can get confusing, especially to beginners who are brand new to creating music on computers. Hopefully, this guide to this year’s best piano software plugins has helped you find one that works just right with you. You may have noticed that just about all of these are based on high-quality samples. Whether they cost money or entirely free, each will give you lovely natural sounds that will get the job done right. You don’t actually need a real piano to play one - Just plug in your midi controller, set up your software, with or without a DAW, and you should be making sweet music in no time! What Is The Best MIDI Keyboard Controller For You?